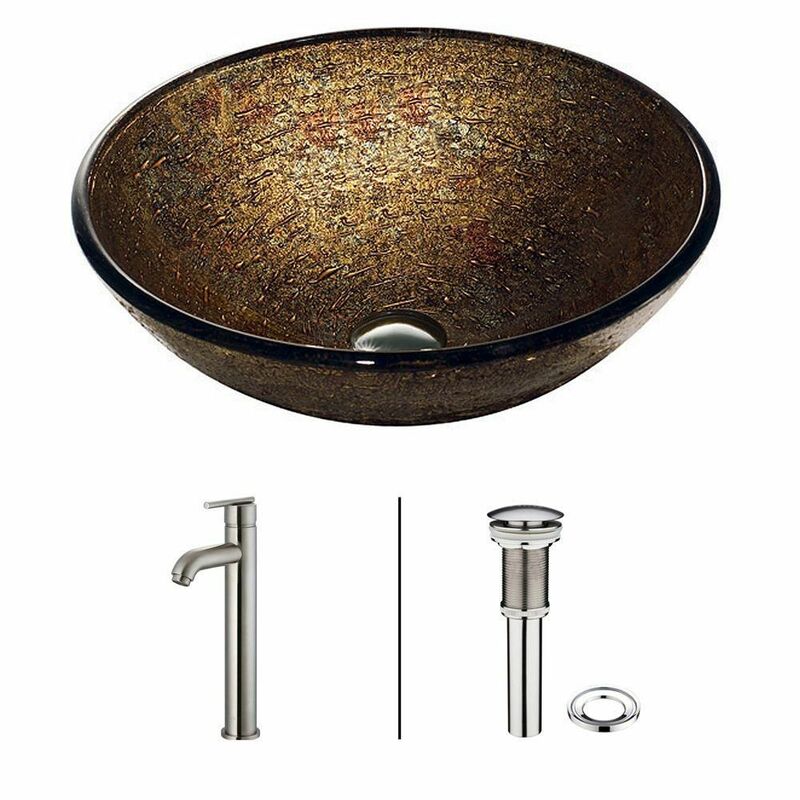 Glass Vessel Sink in Textured Copper with Faucet in Brushed Nickel is rated 5.0 out of 5 by 6. Rated 5 out of 5 by CarliBluT from 1this sink exceeds my expectations. The color is so vivid...the textured copper vessel sink does... 1this sink exceeds my expectations. The color is so vivid...the textured copper vessel sink does have a beautiful green to it as well. Rated 5 out of 5 by DCue from love it Great sturdy product love the faucets and drains will highly recommend and buy again! Rated 5 out of 5 by Grig from Gorgeous sink bowl Very beautiful sink loved by me and everyone who's seen it. Rated 5 out of 5 by Maria from Simply Beautiful!! The quality and colors of this bowl cannot be imagined in the photo on the website. Seeing in person is unbelievable. Love it ...love it. The faucet is great too. Elegant and easy to operate. Finally, a great price! I have looked at tons of sinks ... To get both the bowl and faucet was the best way to go ...the look so good together!! Rated 5 out of 5 by slg1 from Great Buy The sink is beautiful, matches my granite perfectly and came with all of the parts necessary for installation. It is a great value and everyone who has seen it loves it!